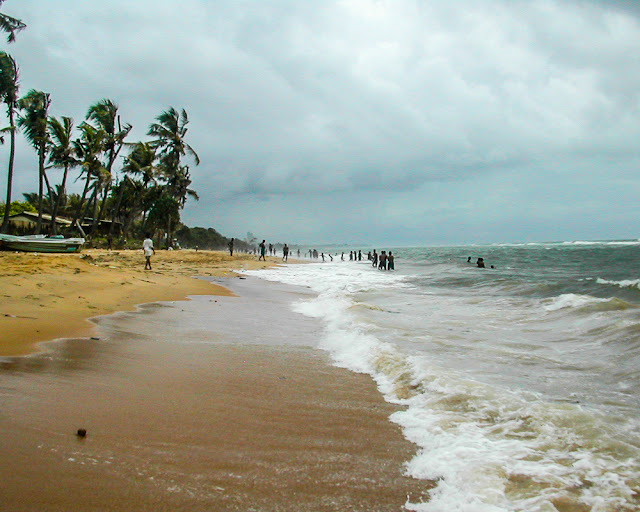 Another series of photos taken in 2004 when my sister and her family were visiting us in Colombo, Sri Lanka. Ths time, we went to the Beach Wadiya Restaraunt on Marine Drive. The food was good, of course. It always is. The restaurant is right on the beach, so on the beach that the tables and chairs are in the sand. 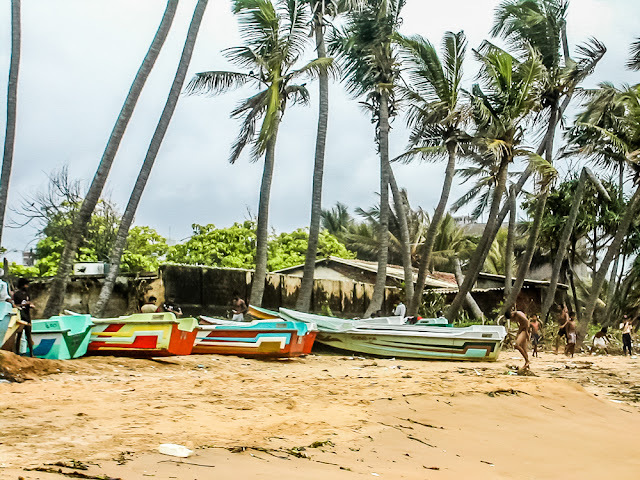 Here are some boats on the beach along with the requisite palm trees. 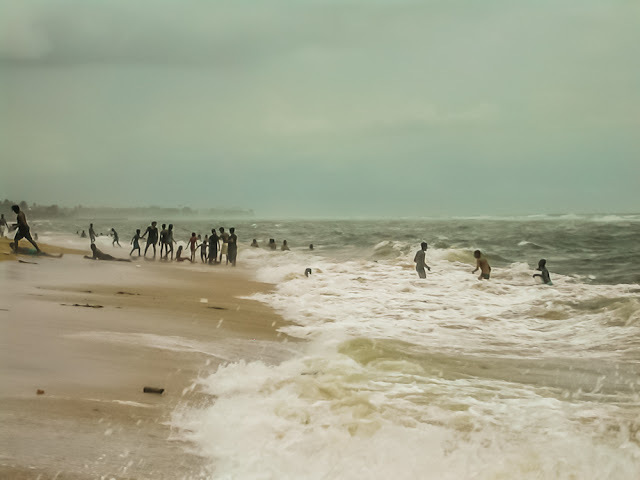 Sri Lankans playing on the beach and in the Indian Ocean. 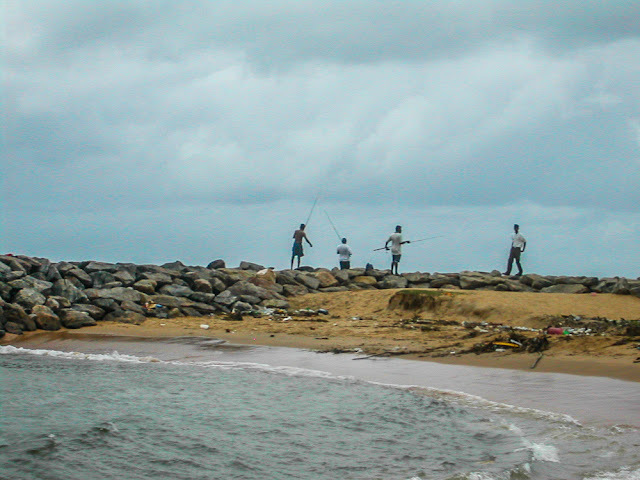 People fishing. I really have no idea what's available to be caught this close to the shore. And, yeah, the shameful picture. 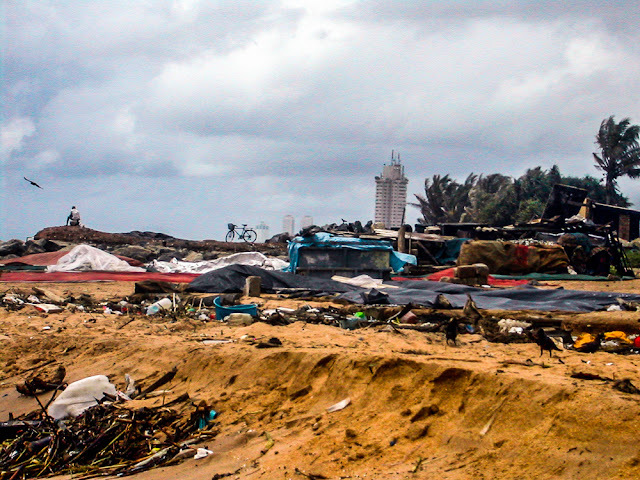 Garbage and refuse piled up on the beach. Old rusty bicycles, Colombo crows.